It is popularly believed that leaders are born not made. Luckily that is not true. Great leaders are not born great, they are made great. Because leadership skills are not innate behaviours. Leadership skills are learned behaviours. None of these three are leadership skills. All leadership skills are learned behaviours and if you want to learn and perfect them, you can. Starting today. One method of learning leadership skills is by analysing the concept of "leadership" and discover its component parts. Identify the various parts and learn each one as a separate skill. You then apply all the skills in practice. The more leadership skills you can identify and learn, and the more you apply them in practice, the better your leadership performance will be. You can find the leadership skills by the following method. Make a list of five to ten great leaders, from history and from the present times. What attributes do all these leaders share, by virtue of which we call them leaders? Let us identify what the common attributes of these leaders are, and by extension, ALL leaders. 1. They all had a clear sense of vision. They all knew exactly what they wanted to achieve. 2. They were all willing to be controversial and unconventional in their aims, in their manner, and in their methods. 3. They all had "total commitment" to their goal. No half-heartedness. 4. They were all, in their own way, excellent communicators. 5. They all were planners. They made big, bold and detailed plans. 6. They were action orientated. They put their plans into action despite opposition from many quarters. 7. They all had a high degree of self confidence in their own ability. 8. They did not take defeat as a sign of failure, but rather they perceived defeat as merely a temporary setback, on the way to ultimate victory. 9. They were highly resistant to the negative effects of criticism from others. 10. They all were able to inspire positive emotions in the minds of their followers. Do you have what it takes to be a great leader? With the above list in mind, please answer the following questions. 1. To what degree do you have a clear vision for your future? Do you know exactly what you want to achieve? Or not? 2. Are you willing to be controversial and unconventional in your aims, in your manner, and in your methods? Or do you tend to stick to the well-worn path and do what you are expected to do? 3. Do you have "Total commitment" to your goal, or not? 4. Are you and excellent communicator, or not? 5. Are you a good planner, or to you tend to make it up as you go along? 6. Are you action orientated, or do you tend to procrastinate? 7. Do you have a high degree of self-confidence, or do you suffer with self-doubts? 8. Do you perceive defeat as merely a temporary setback or do you lose heart after a series of defeats? 9. Are you highly resilient to the negative effects of criticism from others, or do you take criticism to heart and feel emotional pain? 10. Are you able to inspire positive emotions in the minds of others, or do you have a strictly limited ability to inspire the team, or even your own family? 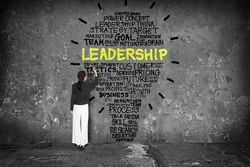 If you want to develop your leadership skills according to this list, please take a look at our Leadership and Management training course. What skills do you need to be a great leader? Take a look at these seven skills sets and see where you can improve and become a better leader. The three major reasons for management problems are: other people, poor systems and mother nature. In order to manage effectively, we need to develop our management skills. Where can I find a good team leader training course? To be a successful manager you need to know what skills you need to develop and the best way to learn them. Try our quick quiz to see how you measure up!